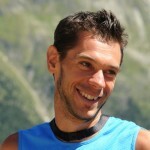 Marco De Gasperi is 6 times World Mountain Running champion, 3 times winner Sierre Zinal and winner of the Jungfrau Marathon 2010. 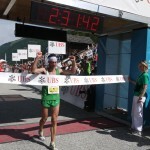 I am used to train mostly alone when I’m at home in Bormio. I like to listen to my feelings and choosing my pace day by day. Sometimes, when the trainings are more intensive, I like sharing the company with some good runners (Max and Luca), that live nearby. In summer time, I spend some weeks in training camp at a higher altitude. Here, my colleagues have been the same for 10 years! They come from different parts of Italy, but the efforts we have made have built a solid friendship. I like the tracks and the paths in summer. My favourite place is around St. Moritz, in Switzerland. There, my thoughts are so light and the time runs away faster than the training! 2hr running in that forest, has never been so quick! 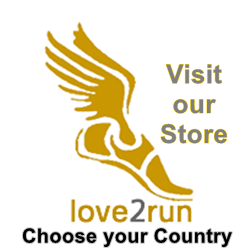 What is the best piece of running advice you have ever received? When I started with my athletic career, my grandfather (who died when he was 98 years old) suggested to me to save energy for when I would be older. This means, when the body is tired, you have to take a rest if you want to reach around 100 years!! How did you come to be a SCOTT Sports Athlete? 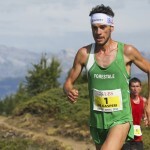 Three years ago, I met up with Mario Poletti, a former skyrunning champion, after a long time. He was still working with SCOTT and he introduced me to the project about the eRide technology of the brand. We were in S. Paulo, Brazil, for a stair climb race, I remember it. I asked him if they were looking for a mountain runner to support…. What has been your running highlight from the last year? 2012 wasn’t so positive for me due to an injury, just when I had planned my goals… But I “saved” the 7th place at the World Champs, the 5th at the Europeans, and of course, the victory at Sierre-Zinal. You know, I’m an old boy…:)))… So I hope to stay healthy and having the right motivations for some hard race like: Zegama Aizkorry (Spa), World long distance Championships (Pol), and Jungfrau Marathon (Sui). What is your favourite piece of kit from SCOTT? Talking about shoes, my favourite one is the KINABALU. For the apparel, I love all the apparel “Outdoor and Trail”.